Visit Skiathos Greece Night Life. Skiathos Town comes alive after dark. Skiathos boasts a vibrant night life that will ensure that you are entertained long after the sun has set. Most of the night life in Skiathos revolves around the bars, restaurants and tavernas that are abundant along the south coast of the island. Many of these places will lay on entertainment in the form of Greek Nights during which traditional Greek music and dancing is performed for the tourist's involvement and pleasure. 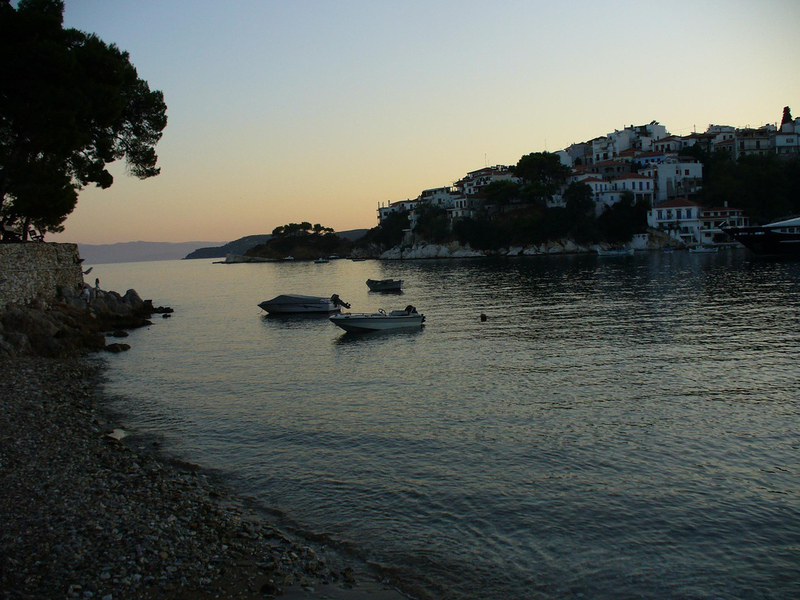 Skiathos Town has a wider variety of night life options than can be found in the smaller resorts. Here you can find clubs that cater for most tastes and persuasions. Skiathos Town boasts a good range of night clubs, including clubs that specialise in a diverse range of music from jazz, blues and rock to Greek and Latin American. There is also a gay bar in town. 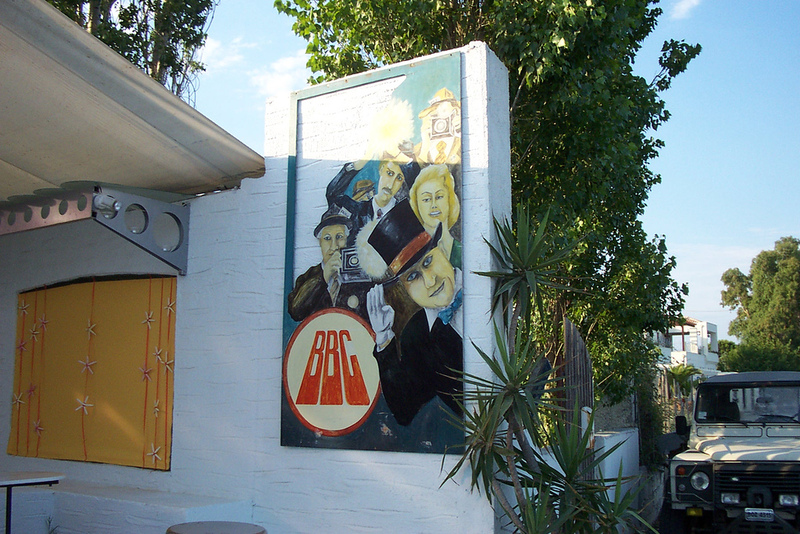 Entrance to the popular BBC club. If you want to sample Greek music try Stones or Apothiki Music Hall. However, if you prefer your entertainment to have a more northern European flavour you'll be right at home in "Bar Street", otherwise officially called Polytechniou. Here you will find plenty of British and Scandanavian holiday makers drinking beer late into the night. Discos that compete to see which one will close the latest include a trio of clubs that are located at the far eastern end of the harbour. These are: Remezzo, Kavos and BBC. These three clubs each attract a young crowd who bring with them the stamina and determination that is required to keep dancing, drinking and partying until the break of dawn. Several of the island's hotels have their own discos and organise evening entertainment in the summer months. These include Skiathos Palace, Zeus Hotel and Caravos Hotel in Koukounaries. For a more cultural evening's entertainment, the Bourtzi outdoor theatre in Skiathos Town stages the Aegean Festival. This takes place from late June to early October and showcases performances of Greek tragedies, theatre, music and dance. There is an open-air cinema in Skiathos Town located on Papadiamanti street. The cinema is open through the summer months and has two showings a night. The cinema shows recent Hollywood releases and has a snack bar and garden.